We create tools that educators and mentors will use to shape the learners of today into the problem solving leaders of tomorrow. We envision a world where every student has the opportunity to be inspired by the excitement of hands-on STEM learning and knows the feeling of creating something with technology. We want people of all ages and backgrounds to recognizerecognise that creative problem solving is fun and see its importance in shaping a better future. We're toolmakers. Solution providers. Problem solvers. All we’re trying to do is make really cool stuff, which other people can use to inspire today’s students. We're not changing the world; we just work with a lot of people who are changing it. The world currently faces an unprecedented need for new innovators, thinkers, and problem solving leaders. We already need double the number of qualified workers if we want to fill open STEM positions. And that gap will only increase. Industry leaders, governments, educators, and parents are all searching for solutions that will enable them to get all students excited. The study of robotics inherently relates to all facets of STEM, and when students learn through exploration, it increases motivation and desire to succeed. 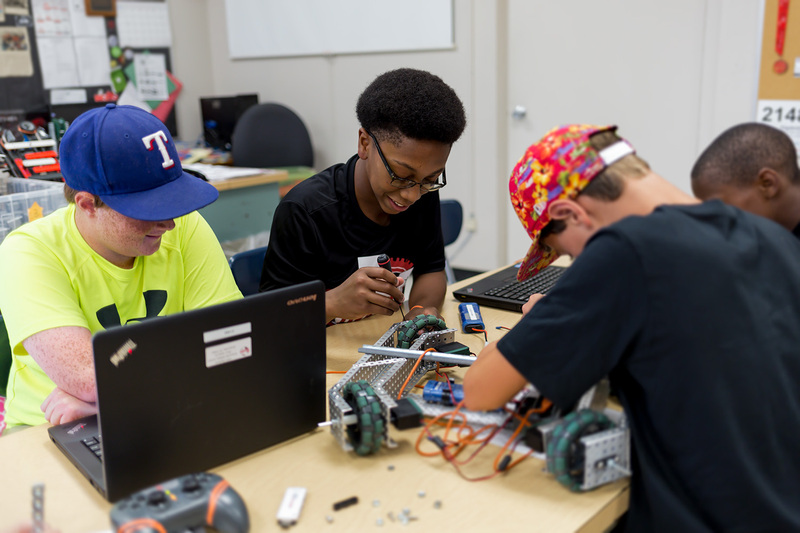 VEX Robotics embraces this model of explorative STEM learning. We know what it's like to get excited about something cool. We know the magic a student experiences the moment they create something with technology. We want kids to learn how much fun it is to solve challenging problems. We're providing tools which are easy for beginners to master, but will expand with the imagination and experience of their users. Our greatest assets aren't motors or gears - they're people. Our real success comes from the world-changers who use our solutions to do amazing things. Students, parents, educators, school districts, and especially partner organizations are all using VEX to have a genuine impact in educational and competition environments. VEX kits are the perfect introduction to the world of competitive robotics, where classroom STEM concepts come alive. The true impact of VEX is that we’re not only thriving as part of extra-curricular programs, but we’re also embraced as a leading part of the daytime classroom experience. We know every teacher has their own specific needs, and we want to provide tools for all of them. VEX provides access to free curriculum matched to leading educational standards so that teachers are able to build their lessons around key educational outcomes. Teachers everywhere can adapt VEX into their classroom or after school activities by using some or all of these free curriculum offerings. Project Lead the Way (PLTW)Project Lead the Way (PLTW) is a leading provider of K-12 STEM programs. PLTW partners with elementary schools, middle schools and high schools to provide rigorous, relevant STEM education. Through activity-based, project-based, and problem-based curriculum, PLTW gives students in kindergarten through high school a chance to apply what they know, identify problems, find unique solutions, and lead their own learning. For educators, PLTW's engaging, rigorous professional development model provides tools to empower students and transform the classroom into a collaboration space where content comes to life. VEX products are incorporated at all levels of PLTW's programs and VEX is proud to be their exclusive robotics platform partner. Robomatter is a global leader in STEM education, striving to prepare students to compete in the emerging economy. Partnered with the CMU Robotics Academy, they provide research-driven rigorous curricula designed to teach 21st century career skills. Robomatter emphasizes technology tools as a means for student engagement, creating virtual learning tools and an education driven software suite to program VEX robots and enhance the VEX Robotics educational experience. Robomatter has developed an entire line of engineering curricula built around VEX Robotics. 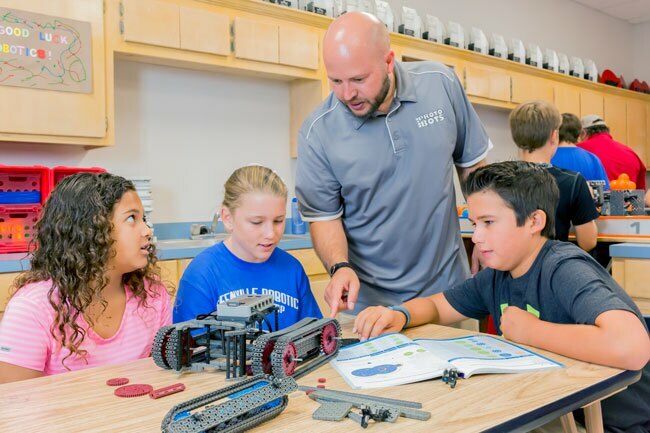 Whether an educator is looking to outfit a single classroom or a full continuum of courses, Robomatter can find the perfect solution using VEX Robotics. Nothing gets people “fired up” like the excitement of head-to-head competition. The solutions we create at VEX are used in a number of competition programs inspiring students with this magic, including BEST, FIRST, SkillsUSA, TSA and more. Most notably, VEX Robotics partners with the Robotics Education & Competition (REC) Foundation, a non-profit organization dedicated to increasing student interest and involvement in STEM programs. The REC Foundation manages the VEX IQ Challenge (for elementary and middle-school students), the VEX Robotics Competition (for middle-school and high-school students) and VEX U (for University students). This continuum of programs enables students of all ages to use VEX to compete against their peers around the world. Do you have what it takes to create the next World Champion? The tools VEX provides for competition are designed with flexibility in mind. We see competitions popping up in all sorts of ways: informal club events, as part of the curricular classroom experience, or as part of summer programs. While many programs enjoy the ability to structure things in their own way, every program has the opportunity to work with the REC Foundation as part of a global competition. Interested students can compete locally before advancing to the regional, state, and national level. 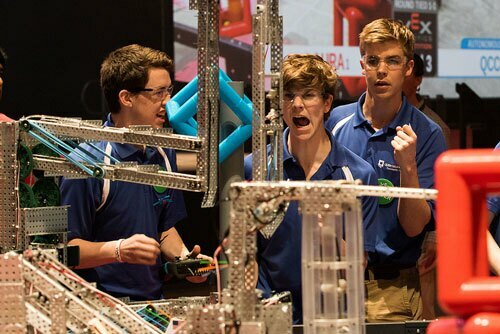 Winning teams from each region go on to compete at the VEX Robotics World Championship against the best teams in the world! The VEX Robotics World Championship now holds the Guinness World Record for the largest robotics competition on Earth. Over 20,000 participants from 1,100 teams representing 30 nations travelled to Louisville, KY in 2018 for the chance to be crowned world champion!